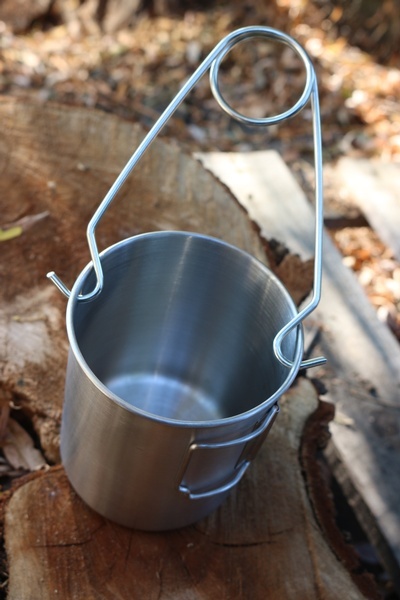 Made from 100% Manganese Spring Steel, this useful accessory to the Pathfinder 25oz and 48oz cups. 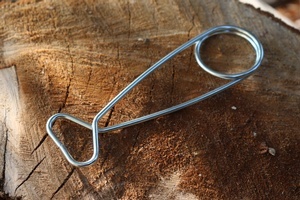 Once spread It can be inserted in the cup rim holes and used to suspend the cups. Purchase through PayPal by using the "Add To Cart" button above or use the form below to order the Self Reliance Outfitters Cup Hanger . 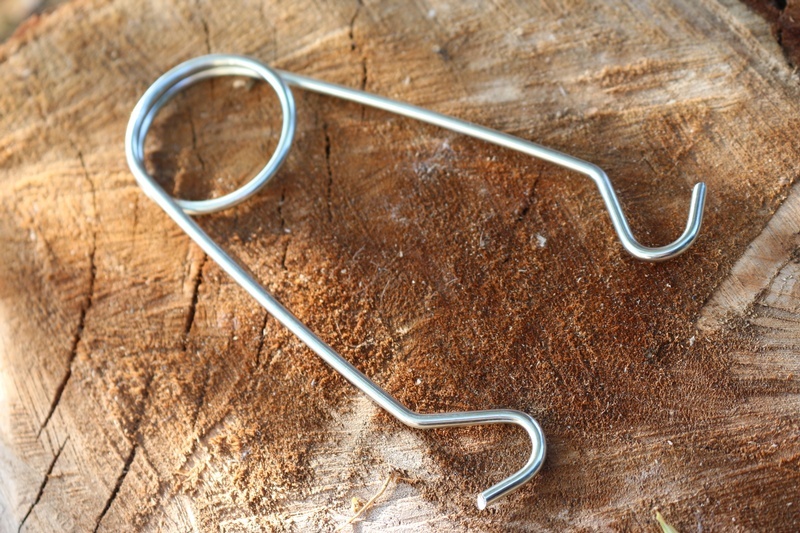 Feel free to contact us if you have any questions about the Self Reliance Outfitters Cup Hanger .